Battlefield 5 is set to release in about one month’s time, in mid-November. 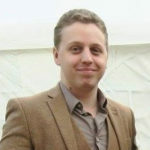 Several parts of the game will be coming post-launch, including vehicle customisation options and the fourth of the game’s four War Stories; The Last Tiger. One major gameplay mode coming post-launch is Firestorm, Battlefield’s new Battle Royale mode. The mode’s release date was unknown, but now DICE has said that players shouldn’t expect it before Spring 2019. 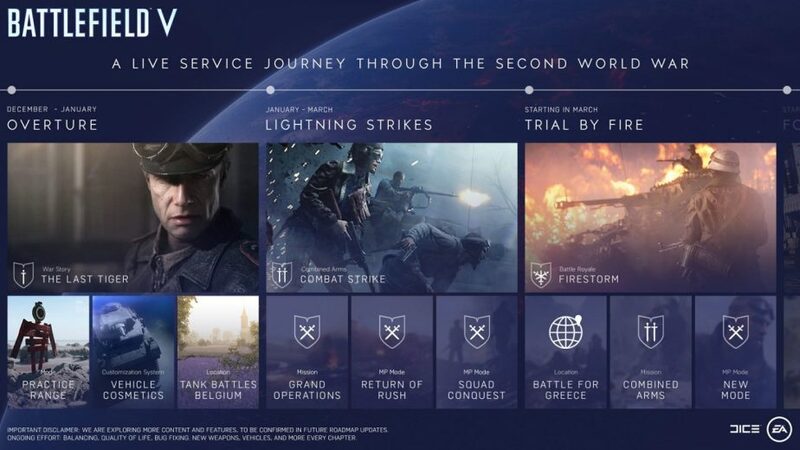 The announcement came via a new update on EA’s website, laying out the first look at the Tides of War; Battlefield 5’s post-launch release schedule. The schedule is divided into three chapters, each featuring a new content release. The Last Tiger is the first of the three, followed by the Combined Arms mode in January. Firestorm is the featured content of the third chapter of Tides of War, set to launch in March of 2019. 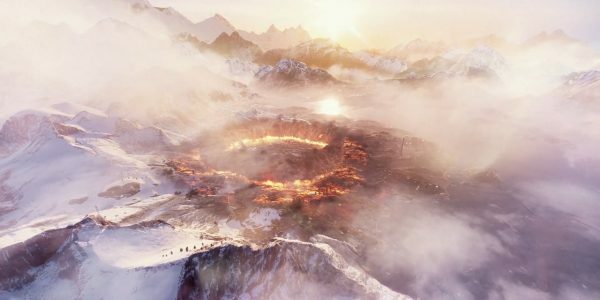 This means that the Battlefield 5 Firestorm Battle Royale mode won’t launch until five months after the game’s release.